What is AccessNow for VMware View? How Does Ericom's Client for VMware View Work? 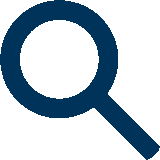 AccessNow for VMware Horizon View is an HTML5 RDP client that delivers seamless access to VMware View virtual desktops running wholly within a browser. 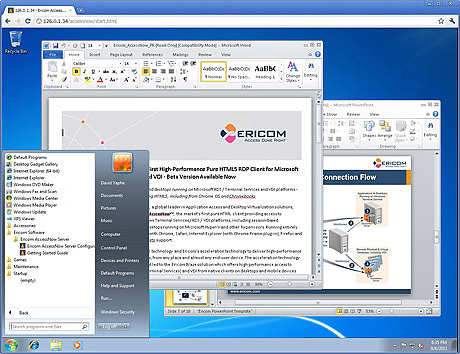 Ericom's unique technology gives users the flexibility and mobility to access their desktops from anywhere, and any HTML5 compatible browser on any platform�Windows, Mac, Linux, iPad / iPhone, Android, Google Chromebook, RIM BlackBerry / Playbook, Amazon Kindle Fire HD � even locked-down Workstations � lowering user device support load and enabling BYOD adoption. AccessNow for VMware View does not install anything on the end-user client device. Moreover, the HTML5 client looks, works and performs like (and even better than) the regular (native) RDP client. An HTML5 compatible web browser, such as Google Chrome, Apple Safari and Firefox. In addition, PCoIP's high efficiency stems to a great degree from the use of its own proprietary image formats and image processing techniques. None of the major browsers currently support these proprietary image formats, which prevents the implementation of a PCoIP HTML5 client.